Provide comfort for the family of Maria Tavilla with a meaningful gesture of sympathy. Tavilla, Maria (Barbaro), of Cambridge January 2. Beloved wife of the late Peter P. Tavilla. Loving mother of Josephine Raneri of Everett, Anthony Tavilla of Bolton, Charles Tavilla of Falmouth and Rita Tavilla of Townsend. Also survived by 8 grandchildren and 7 great grandchildren. Funeral procession from The DeVito Funeral Home 761 Mt. Auburn Street, WATERTOWN Tuesday morning at 10:30 with a funeral service to commence at 11:00 in Bigelow Chapel of Mt. Auburn Cemetery 580 Mt. Auburn Street, Cambridge. Entombment to follow. Visiting at the DeVito Funeral Home on Monday 2:00 to 4:00pm. 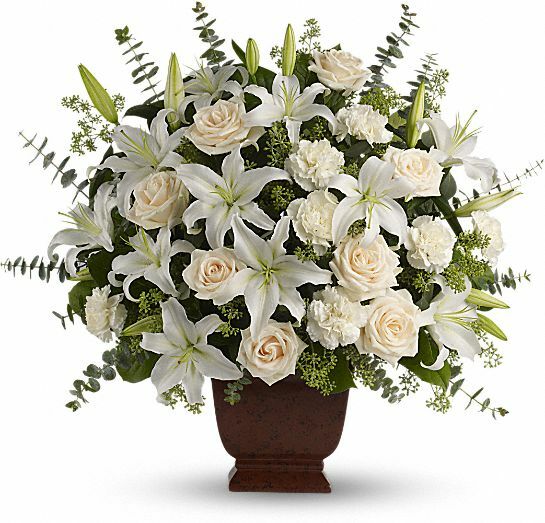 Stephen, Linda, Olivia and Anthony Raneri and All Our Love, Peter, Jill, Nicole and Alex have sent flowers to the family of Maria Tavilla (Barbaro). Josie and Family, please accept our deepest sympathies on the passing of your Mom. Peace be with you, Tom , Maureen & Family. We love you Nonna thank you for being one of the strongest people in our family. Time to have coffee and cookies with Nonno. We love you! 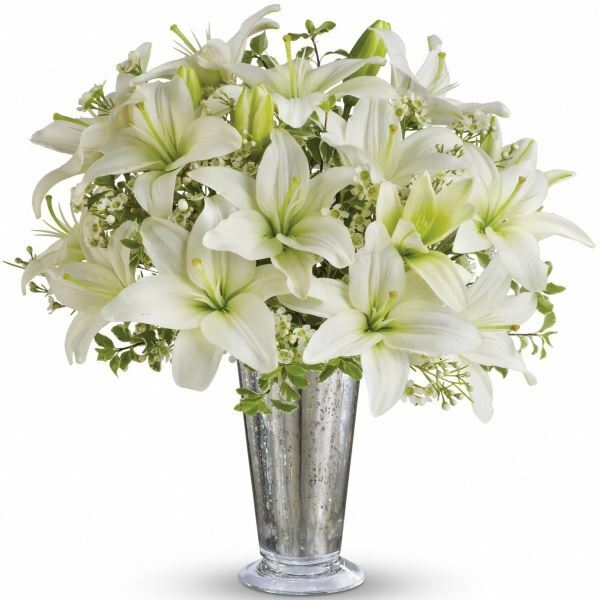 Stephen, Linda, Olivia and Anthony Raneri purchased the Loving Lilies & Roses Bouquet for the family of Maria Tavilla. Remembering you always, Nonna Maria. Forever will you be in in our hearts. With all our love to Mom (Nanna Josie), Tony, Charlie and Rita. All Our Love, Peter, Jill, Nicole and Alex purchased flowers for the family of Maria Tavilla.